Hawaiʻi Island police have charged a 42-year-old Puna man in connection with a domestic violence related kidnapping incident. 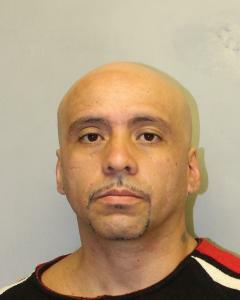 Timothy Wayne Torres was arrested by patrol officers on Saturday, (February 2), at 2:15 p.m., in Puna and later charged by detectives with two misdemeanor and one felony abuse of a family or household member, kidnapping and first degree terroristic threatening in connection with an incident reported on (January 20). Torres is being held at the Hilo cellblock in lieu of $55,000 bail pending his initial court appearance in South Hilo District Court scheduled for this afternoon, (February 5). Anyone who may have any information about this incident is asked to call Detective Matthew Kaaihue of the Juvenile Aid Section at (808) 961-8883 or Matthew.Kaaihue@hawaiicounty.g….